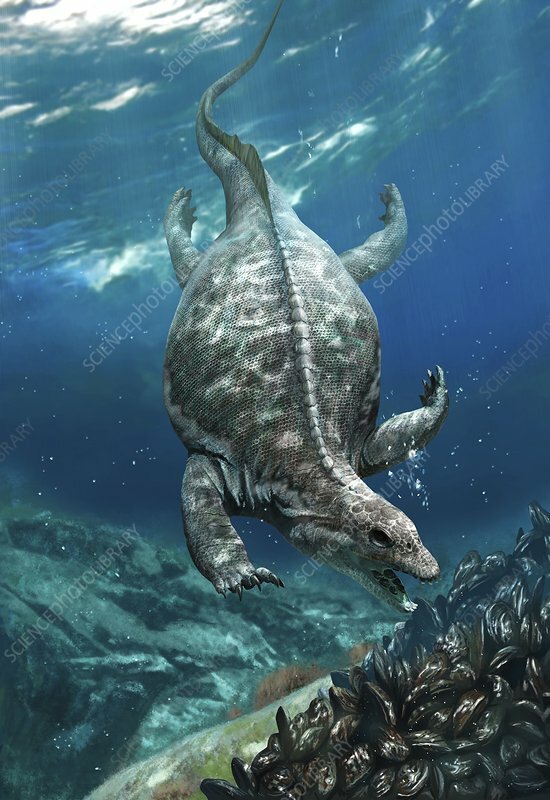 Prehistoric marine reptile, Placodus gigas. This extinct reptile lived in the Middle Triassic, 245â235 million years ago. It is closely related to the plesiosaurs, another marine reptile group.